Over the past decade, multifactorial corpus-based explorations of alternations in grammar have been prominently used to support theories and frameworks within cognitively oriented corpus linguistics. For example, prototype theory as a theory of similarity-based and inherently probabilistic linguistic categorization has received support from studies showing that alternating constructions and items often occur with probabilities influenced by prototypical semantic or contextual factors. 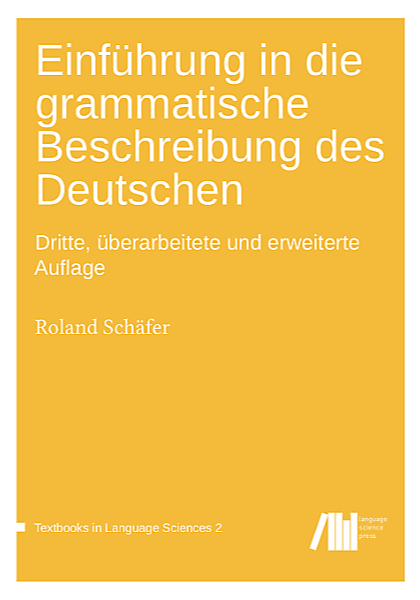 In this paper, I analyze a low-frequency alternation effect in German noun inflection in terms of prototype theory, based on strong hypotheses from the existing literature that I integrate into an established theoretical framework of usage-based probabilistic morphology, which allows us to account for similarity effects even in seemingly regular areas of the grammar. Specifically, the so-called weak masculine nouns in German, which follow an unusual pattern of case marking and often have characteristic lexical properties, sporadically occur in forms of the dominant strong masculine nouns. Using data from the nine-billion-token DECOW12A web corpus of contemporary German, I demonstrate that the probability of the alternation is influenced by the presence or absence of semantic, phonotactic, and paradigmatic features. Token frequency is also shown to have an effect on the alternation, in line with common assumptions about the relation between frequency and entrenchment. I use a version of prototype theory with weighted features and polycentric categories, but I also discuss the question of whether corpus data can be taken as strong evidence for or against specific models of cognitive representation (prototypes vs. exemplars).